Why are we afraid to talk about Israel? 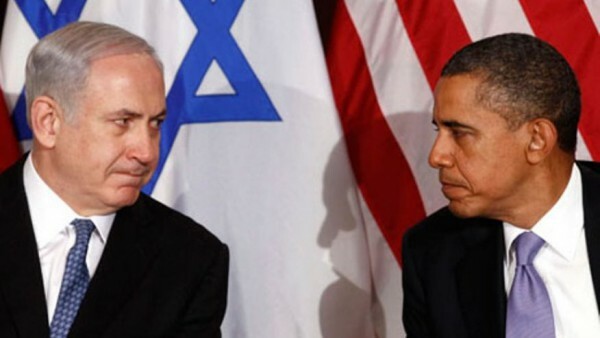 As you may know, Israeli Prime Minister Benjamin Netanyahu spoke to Congress yesterday. Some lawmakers came under fire for attending or not attending this speech, which to be honest is merely symbolic. Despite the issues of when and how he was asked to speak, this controversy has brought up a larger question: when did we become afraid to speak out about major foreign policy affecting our country? There are conversations going on between friends, on college campuses, and across social media about policy. It can be tame, or it can get nasty. On my social media dashboard I’ve seen posts that include the categories anti-Israel, anti-Palestine, but more importantly anti-Semite. Israel is one of our most important and well-known allies, yet speaking about any portion of Israeli policy can leave you in exile. The minute someone shares an opinion they are bucketed into those overarching categories: anti-Israel, anti-Palestine, anti- Semite. In many cases it’s better to stay mum than support or disagree with any little portion of policy. But when you put things into perspective this concept seems ridiculous for citizens of a country founded on free speech and democracy. I am an American. I was born and raised in the States, but my heritage lies in South and Central America. My family came from countries ravaged by war, dictatorships, and instability — countries that are now U.S. allies. If I spoke out in support or against those allies’ policies, I would not be ostracized the way people are when they speak about Israel. Historically, the U.S. has often disagreed with some of our largest allies, and Israel is not unique in that way. But the fear that people have about voicing that opinion is unique. I’m voicing my opinion on yesterday’s events clearly, and without fear. I believe that Netanyhu’s speech and Boehner’s lack of decorum was detrimental to US-Israel relations, because it detracted from policy issues and created an unnecessary media frenzy. And though I am not fearful of having an opinion, it’s still hard to state that without the unease of being judged. No matter what opinion you have there is a fear of being labeled. There is a fear of being judged. There is a fear of being called anti-Semitic or anti-peace. Until we erase the black mark associated with discussing US-Israeli foreign policy, there will never be intelligent understanding of the situation in Gaza. People are too afraid to discuss, ask questions, and learn about policy. These exact discussions on both sides of the issue can and will lead to better US-Israel policy. A de-escalation of fear and a better understanding of the issues at hand are necessary for the greater future of these relations. I urge you to start discussions on policy without judgement, because it’s the only way that these fears will be extinguished.